CHARLOTTE, NC – The Federal Housing Finance Agency (FHFA) recently announced another increase in the conforming Conventional loan limit from $453,100 at the start of this year to $484,350 for one-unit properties not in Alaska and Hawaii. This new base limit represents a $31,250 increase and applies to single-family residential loans closed after November 27, 2018. The maximum limit for super-conforming and high balance loans secured by a one-unit property will now be $726,525. The FHFA’s index data indicates that home prices increased by 6.9%, on average, between the third quarters of 2017 and 2018. This means that the baseline maximum conforming loan limit for 2019 will increase by the same percentage. 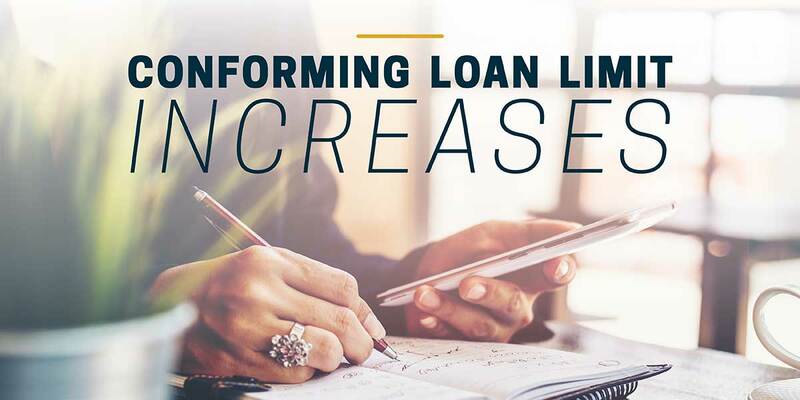 The Housing and Economic Recovery Act (HERA) establishes the maximum loan limit in high-cost areas as a multiple of the area median home value, while setting a “ceiling” on that limit of 150% of the baseline loan limit. For example, the new ceiling loan limit for one-unit properties in most high-cost areas would be $726,525—or 150% of $484,350. “We saw this last year in the mortgage market too. In order to keep up with changing home prices, the FHFA adjusts the baseline conforming loan limit for Fannie Mae and Freddie Mac,” Change Management Communication Specialist Marlo Taylor said. So how does this benefit home buyers? This means more homes—and more expensive homes—on the market are eligible for Conventional financing. Rather than going through the tougher process of getting a Jumbo mortgage, home buyers can save thousands of dollars because of the lower rates and less-restrictive underwriting guidelines Conventional loans are known for. For a map showing the 2019 maximum loan limits across the U.S., click here. For a list of the 2019 maximum loan limits for all counties and county-equivalent areas in the U.S., click here. Cardinal Financial is now accepting loan applications reflective of this new increase. Thinking about buying a home? Get a free quote and get pre-approved today.